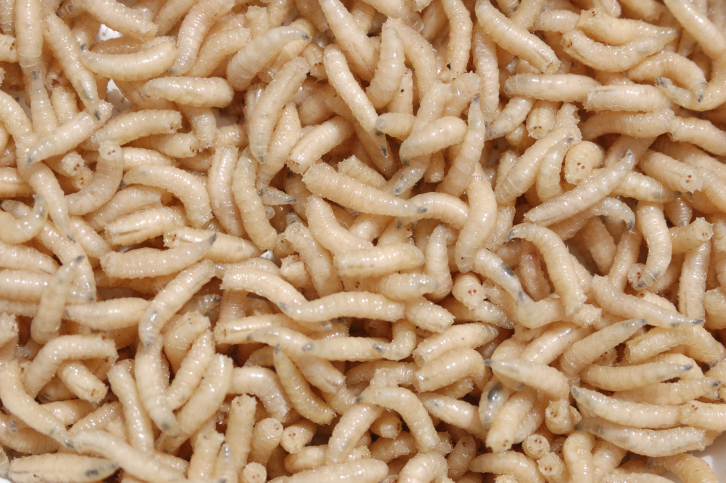 Live Maggots: Worst In-Flight Snack Ever? Hey, most airlines would charge passengers for an extra bit of protein with their in-flight snack. But one passenger on a Qantas flight got a distasteful surprise when she dug into her packet of trail mix. Australia’s Herald Sun reports that Victoria Cleven was on a flight from Los Angeles to Melbourne when she started eating her airline snack. She didn’t turn on the overhead light, and was blindly munching away when she thought the nuts tasted kind of weird. After turning on the light, she was greeted with writhing maggots inside the package … and some that had escaped out on to her. Cleven’s son inspected two other packages of the same snack and they also contained a loser’s prize inside—more maggots. Cleven took photos and video of the maggots, but says she was only offered AUD 400 (about $415; see xe.com for current rates) and an apology from the airline for her trouble. The company that produces the snack, The Sydney Biscuit Company, also apologized and stated that perhaps moths had infested the package during storage in a Qantas warehouse. Too bad she wasn’t sitting in first class—Qantas could have tried to pass off the snack as containing Casu Marzu, a cheese considered a European delicacy that contains thousands of maggots. Tell us in the comments if you’ve had an in-flight snack that’s worse than this one!